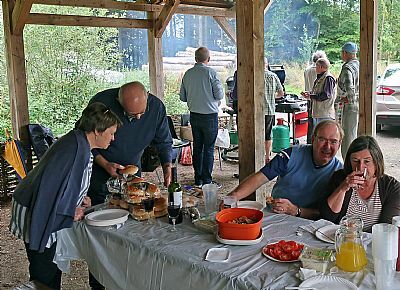 Chefs Steve Norris and Bob Thomson, ably assisted by Bruce Cameron, provided an excellent feast at today's barbecue. 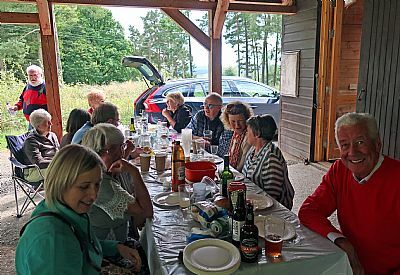 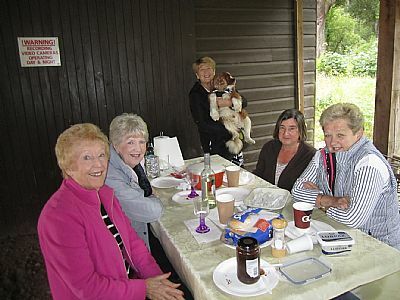 Around 22 diners, and 2 dogs, were catered for in a very relaxed setting and enjoyed fine weather and good fellowship. 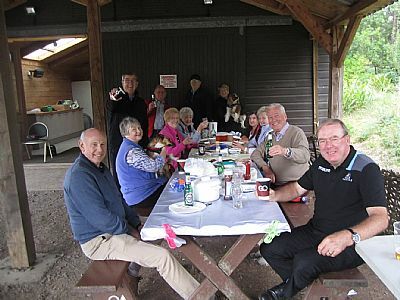 Many thanks to Iain Brown for organising the event and to Eddie and Lorna at the Royal George Hotel for the meringues.